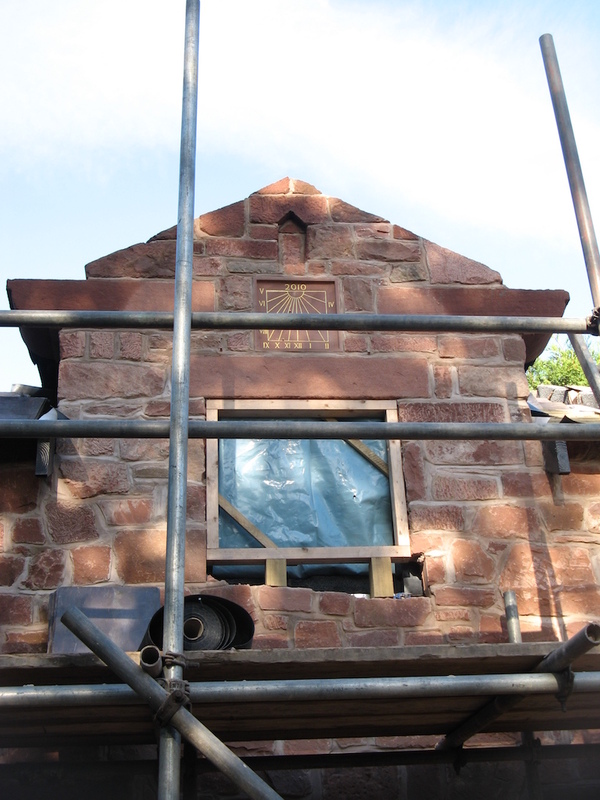 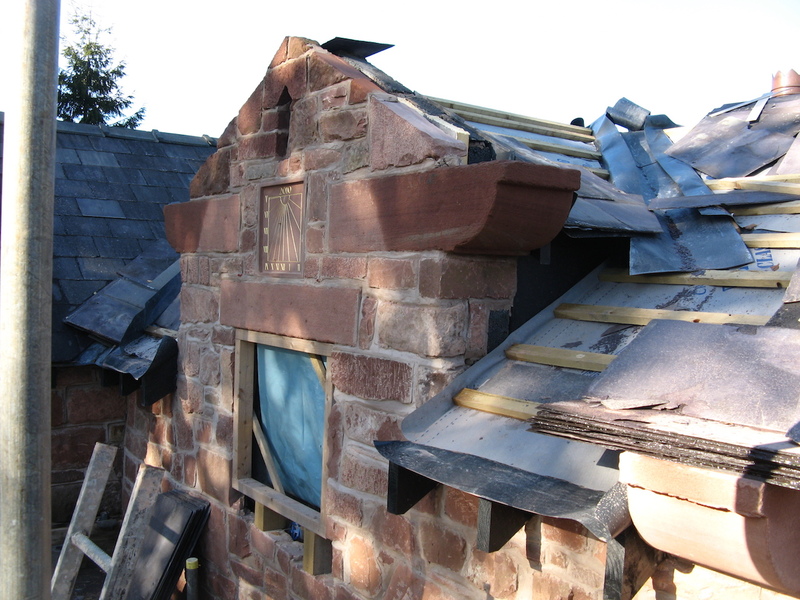 JB Stone Masonry can make a variety of sizes of sawn or hand-tooled sandstone or limestone corbels. 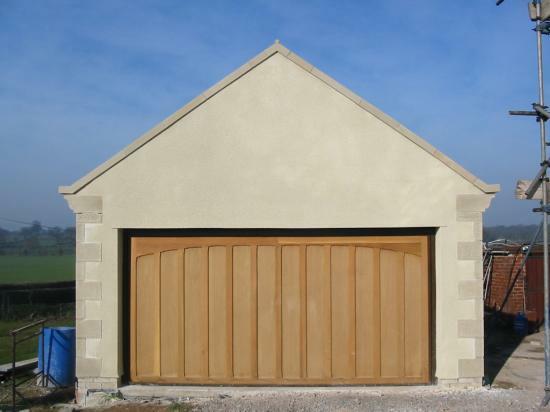 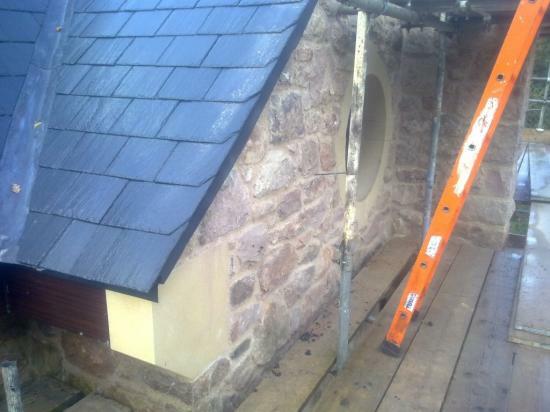 We can create a bespoke design for you or alternatively we can come out to your building to copy existing stonework to ensure a precise match. 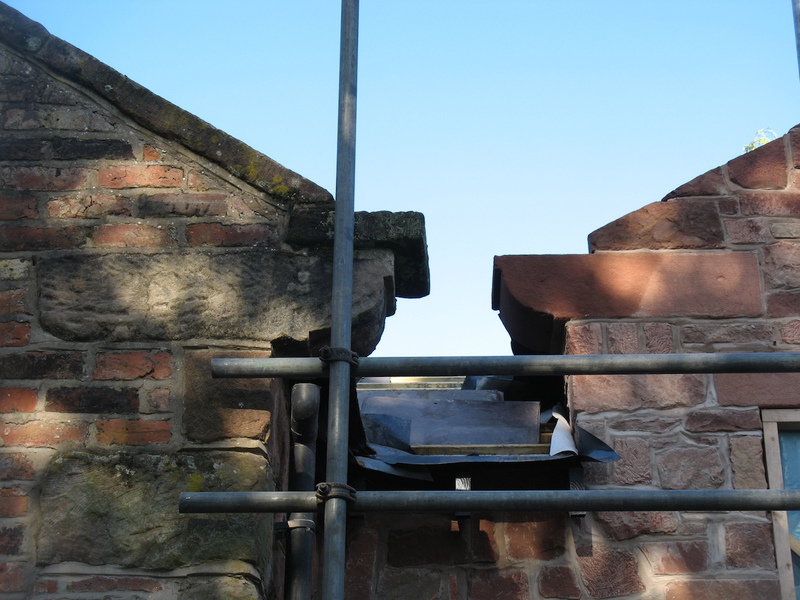 Stone corbels protrude from the wall, supporting any projecting structures above them like window sills, balconies or ledges. 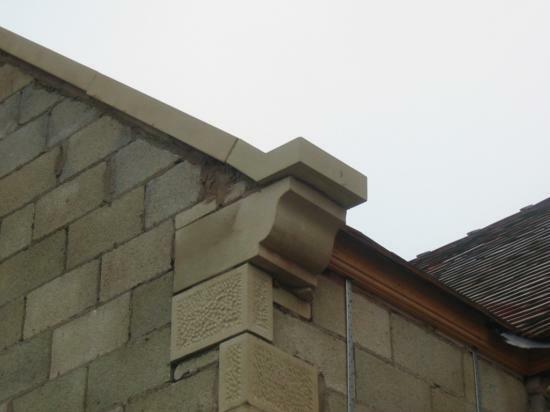 But as well as serving a practical role, the stone corbels also act as a decorative feature by enhancing a building’s overall appearance. 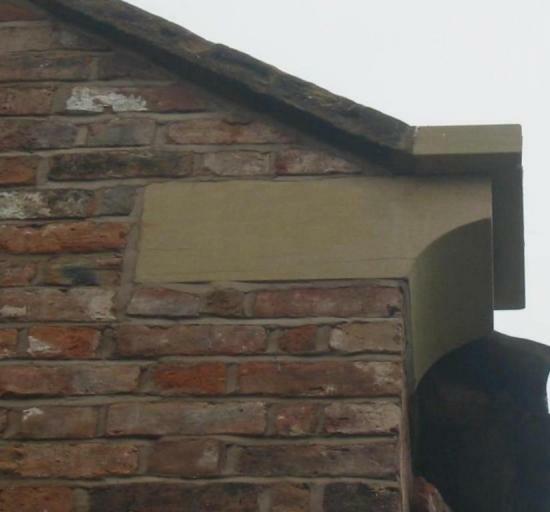 Whether you need a traditional-looking corbel or a more modern look with simple clean lines, we produce bespoke corbels for all kinds of projects and buildings including new builds, renovations and restorations. 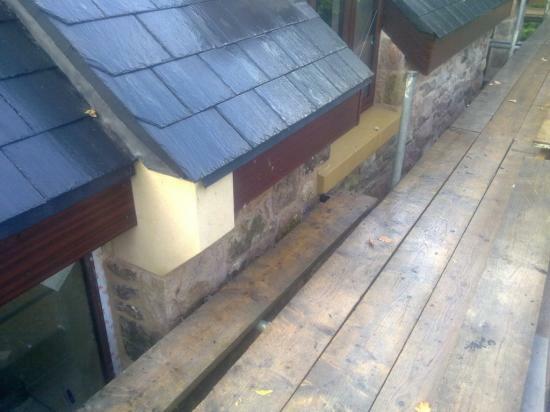 We do work for customers all over North Wales particularly around Wrexham, Flintshire and Denbighshire as well as in Cheshire and on the Wirral. 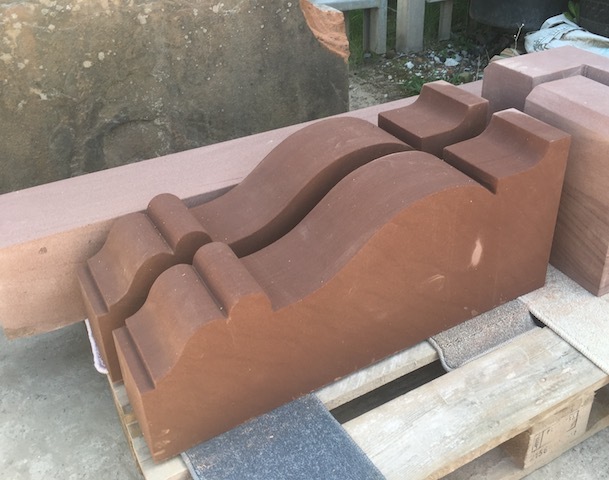 We only use stone sourced within the UK and make all our quoins and corbels at our yard on the Wrexham Industrial Estate. 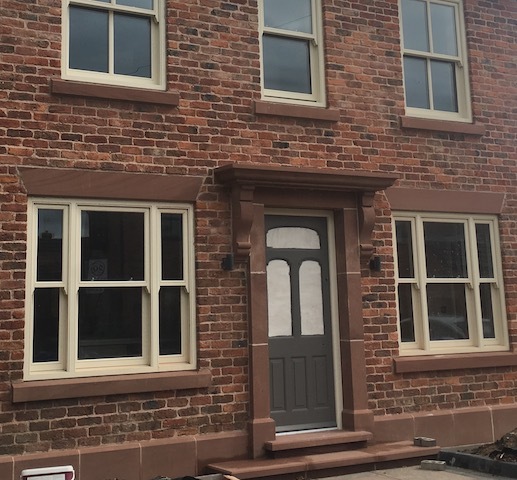 You are welcome to come to take a look at the stone we have in stock at the yard – please call John on 01978 664006 to arrange a time. 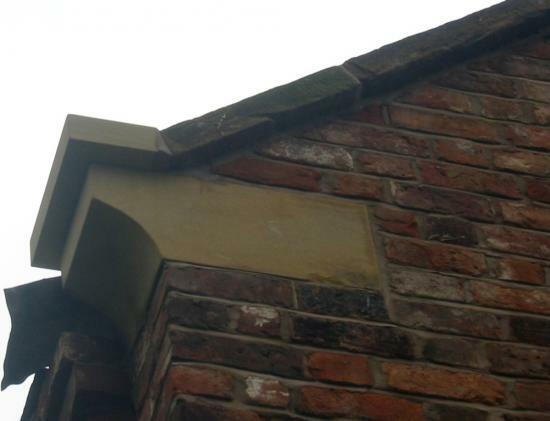 You’ll see below some pictures of the corbels (and jambs) we’ve made for our customers. 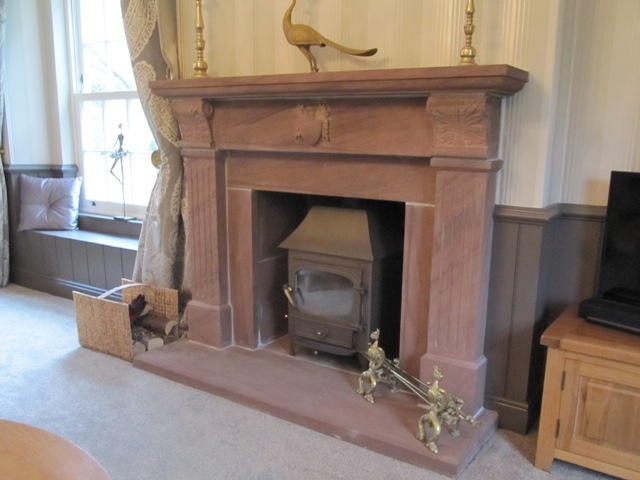 If you’d like some more information, or if we can help you with any query you might have, then please feel free to give us a call on 01978 664006 or email us at mail@jbstone.co.uk.